Dr Allan is the current Chair of Apple and Pear Australia Limited, Meat and Livestock Australia and the Council of Rural Research and Development Corporations. Her current board positions include Grain Growers Limited, Innovation and Science Australia, CSIRO, Nuffield Australia, Food and Innovation Australia Ltd, the Food Agility CRC Board and the 2026 Spatial Industry Transformation and Growth Agenda Leadership Group. Dr Allan is the former Chair of the Grains and Legumes Nutrition Council (formerly Go Grains Health and Nutrition). Dr Allan has held non-executive director positions with Patties Foods Limited, the Dairy Research and Development Corporation (now part of Dairy Australia), Forest and Wood Products Australia, Food Standards Australia and New Zealand, RuralCo and Birchip Cropping Group. In 2013, Dr Allan was appointed by the Commonwealth Minister for Agriculture, the Hon Barnaby Joyce, to chair the Wheat Industry Advisory Taskforce. In 2014, Dr Allan was appointed by the Federal Government to lead the Tasmanian Fruit and Vegetable Taskforce. Dr Michele Allan has a Doctor of Business Administration from Royal Melbourne Institute of Technology, Master of Commercial Law from Deakin and Bachelor of Applied Science Major – Biomedical Science – Cytology from the University of Technology Sydney. She is also a Fellow of the Australian Institute of Company Directors and a Professional Member of the Australian Institute of Food Science and Technology. Established in 1989, Charles Sturt University (CSU) is Australia’s largest regional university. The University traces its roots to the formation of the Bathurst Experimental Farm and Wagga Wagga Experimental Farm in the 1890s. In one form or another, research, innovation and education has been integral to CSU’s character and mission for more than a century. CSU’s multi-campus and multi-modal model has enabled a wide range of communities to have local access to higher education, and to grow their supply of professionals for industry. The University has nine campuses located at Albury-Wodonga, Bathurst, Canberra, Dubbo, Goulburn, Orange, Parramatta, Port Macquarie and Wagga Wagga. CSU Study Centres are located at Sydney, Brisbane and Melbourne, and the Australian Graduate School of Policing and Security is located at Manly. CSU’s commitment to the development and sustainability of rural and regional Australia is informed by the unique research focus undertaken, and the partnerships the University has formed with each of its campus’ local communities, local industry and with the broader regions it serves. CSU offers a comprehensive suite of research and academic training programs that focus on addressing labour market needs, growing regional economies, and preparing students for the jobs of the new economy. As one of Australia’s largest online and distance education providers, CSU has been able to leverage its course profile and special expertise in professional education to deliver nationally available study programs regardless of student location. CSU’s rural and regional focus, as well as strength in online and distance education, positions the University as a leading institution in providing higher education opportunities, particularly to first-in-family applicants, mature aged students, as well as those from culturally diverse and minority backgrounds. The success of CSU is demonstrated by its sector-leading performance in work-integrated learning, graduate employment and graduate incomes. As a leader in work-integrated learning, students spend extended periods in employment with the University’s industry partners as component of their degree learning and applying their knowledge in practice. At CSU, students are considered at every step of their journey. The wide range of academic support helps students build study skills or knowledge of particular subjects, while the University’s health and wellbeing programs, counselling and residential advisers ensure new students settle into university life and all students get the best out of their university experience. Scholarships and grants are also offered to help with the costs of getting a degree. CSU is recognised for its internationally competitive research strengths in agricultural science, horticultural production, food and wine sciences, crop and pasture production, veterinary science, animal production, education, curriculum and pedagogy, environmental science, applied ethics, philosophy, religious studies, criminology, nursing and marketing. Students can enrol offshore to study with CSU through partners in countries including China, Malaysia and Hong Kong. These international partnerships, as well as travel and exchange opportunities play a key role in supporting the University’s commitment to participating in the internationalisation of higher education. Students from all over the world enrol at CSU by distance education, joining the University’s global community and enjoying the flexibility and excellent online resources and support CSU offers. 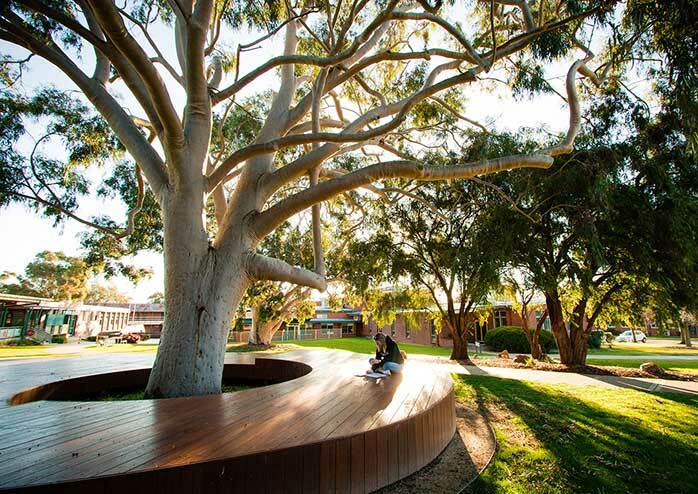 Charles Sturt University designs and delivers education which helps students realise their full potential. approach to reaching their aspirations. Innovation and technology are at the heart of CSU’s operations, enabling students to live and study where they choose. CSU graduates enjoy the highest graduate employment rate across Australia and the highest graduate starting salary in NSW. The Charles Sturt University Council is constituted to ensure the proper stewardship and strategic direction of the University, and is directly accountable to the stakeholders of the University for creating and delivering value and improved performance through effective governance.